Those who argue against the need for nutritional supplements state that supplements aren’t necessary if you’re eating a proper, balanced diet. And they’re not wrong. However, the problem with this thinking, as Dr. Daniel Amen and Tana Amen address in this episode, is that virtually none of us are eating a proper, balanced diet. With the food industries prevalent in today’s culture, this task is practically impossible. 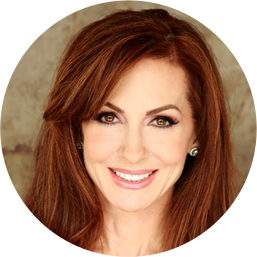 Dr. Amen draws on material from his new book Feel Better Fast and Make It Last to give you tips on how to implement supplements in your diet to counteract your deficiencies. 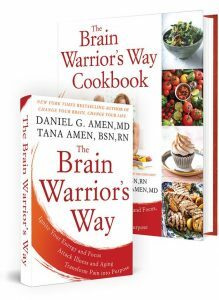 Dr. Daniel Amen:	The Brain Warriors Way podcast is brought to you by Amen Clinics, where we've transformed lives for three decades using brain SPECT imaging to better target treatment and natural ways to heal the brain. For more information, visit Amenclinics.com. Dr. Daniel Amen:	Welcome back. We're in nutrition week, to feel better fast and make it last. And nutrition is so important. I just can't think of one thing that we do for our patients that helps them get better for the long run, and it's get your food right, and also your supplements right. And we're gonna talk about that. But first, I have another wonderful testimonial about our podcast. Shawn Berry. This is amazing information. He's a new subscriber, since approximately a month back. Gaining ground daily. I look forward to healthier thoughts and a healthier lifestyle. My family and I sat around the dinner table most evenings and had open discussions over our favorite thing in the day. Tana Amen:	Oh, I love that. Dr. Daniel Amen:	... again. In fact, I do. Tana Amen:	You do, yeah. Dr. Daniel Amen:	All right. So, what about supplements? Too often, your doctor will say they are nothing more than expensive urine. And I just, I hear this all the time. I start the chapter on supplements from a quote from our friend, Mark Hyman. If people, you don't need supplements if people eat wild, fresh, organic, local, non-genetically modified food grown in virgin mineral-rich, nutrient-rich soils that has not been transported across vast differences, distances, and stored for months before being eaten, and work and live outside, breathe only fresh, unpolluted air, drink only pure, clean water, sleep nine hours at night, move their bodies every day, and are free from chronic stressors and exposure to environmental toxins. Then it might be possible, they may not need supplements. But, because we live in a fast-paced society, where we pick up food on the fly, skip meals, eat sugar-laden treats, buy processed foods, and eat foods that have been chemically treated, we should all use a little help from a multivitamin mineral supplement. 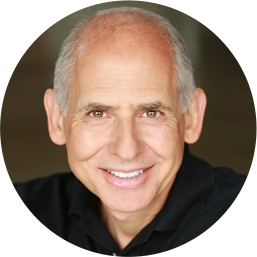 Dr. Daniel Amen:	And Mark is Director of Functional Medicine At Cleveland Clinic. So, he's one of the smartest people we know. And the reason I got interested in supplements and created BrainMD, our supplement company, is when I first started looking at scans in 1991 with medications I prescribed, some of them just looked toxic. And I'm like, "Oh, that's a bad idea." And I remember what they taught me in medical school, first do no harm. Use the least toxic, most effective treatments. Dr. Daniel Amen:	And I have come to believe all of us should have a multiple vitamin every day. Why? According to the CDC, 93% of the population does not have five servings of fruits and vegetables a day. Wow. So, we are not getting the nutrients we need, and food has become sort of like Amazon, fast. Predominantly, it's fast. Tana Amen:	Yeah, and it's like an insurance policy. I mean, you're covering your bases. And when tested, almost everybody that we know is low in more than one nutrient. Tana Amen:	Yeah, well, that's the other thing. Most people, they think, "Well, I eat right. I do these things right." But if you're taking medications, they significantly deplete a lot of things. Tana Amen:	They are one of the worst. Dr. Daniel Amen:	This is one of the reasons that 23% of women are taking antidepressants. They decrease B vitamins, decrease magnesium, folate, zinc, Tyrosine, the amino acid building block for dopamine, and serotonin. And so, oral contraceptives are just rampant. And many people need them so they don't get pregnant. But you should be resupplying the nutrients that steel your mind. Dr. Daniel Amen:	... with Mercury and so on. And omega-3 fatty acids, when you're low in them, inflammation, heart disease, depression, bipolar disorder, suicidal behavior, ADHD, dementia, and obesity. So, I just think all of us should take high-quality multiple vitamins every day, and then high-quality omega-3 fatty acids. Tana Amen:	Okay. I'm sorry, you gotta add probiotics to that. You have to. And probably vitamin D.
Dr. Daniel Amen:	Well, say more. Tana Amen:	Even you just said, named half of the medications that basically, deplete, that cause problems with your stomach and with digestion. Tana Amen:	Oh, thank you. Dr. Daniel Amen:	... is so important. And then I have specific supplements for your memory, and it's along the Bright Minds format. So, what are they supplements to boost blood flow? Retirement and aging, to decrease retirement and aging, to help with inflammation. So yes, omega-3 fatty acids, probiotics, but also curcumins. If you go to BrainMD, we have all of these. Tana Amen:	And curcumins also help with anti-, they're an anti-inflammatory. So, when I think of the basics, there's the basics that help everybody, they're sort of like, your catchall basics. And then you've got your brain supplements, for improving memory or giving you focus, or whatever, that are sort of that add-on. But these basics, you need for general health, just as a, to get you digesting food and feeling well. Tana Amen:	This is actually, hilarious. Dr. Daniel Amen:	... type 3. And when she went on serotonin mood support, she did so much better. Tana Amen:	On both of them. They had sort of opposite issues, and they could not be in the same house. It was actually, making me fairly crazy. Because I'm like, if you two don't get this together, I'm gonna go crazy. So, now we've got them, and now they adore each other. It's the funniest thing. Tana Amen:	But every time she gets close, the mom gets close to running out of her supplements, everyone in the family is paying attention. "Oh, my God. Make sure she has her supplements." Dr. Daniel Amen:	Stay with us. When we come back, we're gonna talk about the X Factor. So, it's gonna be the week of the X Factor. Which, what are the big lessons we've learned from looking at 150,000 brain scans that can, in fact, help you feel better fast? Stay with us.